While several privacy protection techniques are presented in the literature, they are not complemented with an established objective evaluation criteria for their assessment and comparison. This presentation introduces an annotation-free evaluation method that assesses the two key aspects of privacy protection that are privacy and utility. Unlike some existing methods, the proposed method does not rely on the use of subjective judgements and does not assume a specific target type in the image data. The privacy aspect is quantified as an appearance similarity and the utility aspect is measured as a structural similarity between the original raw image data and the privacy-protected image data. An extensive experimentation is performed using six challenging datasets (including two new ones) to demonstrate the effectiveness of the evaluation method by providing a performance comparison of four state-of-the-art privacy protection techniques. Mobile crowd sensing is a new area of research which combines online social media data and physical sensor data to capitalize on the “wisdom of crowds”. 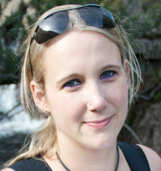 This talk will explore this history of this rapidly growing area. It will examine the types of data used, social data from online communities and physically sensed data from mobile devices, and address issues related to data collection and processing problems. It will explore algorithms and techniques used in real time detection of events, communities and groups for social sensing applications. Finally it will address future benefits and challenges in mobile and social sensing, both positive, such as improving societal functioning and increasing personal safety, to the more ominous, such as implicit illegal monitoring and other user privacy issues. In this lecture, a number of probabilistic models for learning and classifying trajectories and motion patterns will be described. In particular, flow functions are used to characterize trajectory pattern, which are learned from data using Gaussian process regression technique. An online incremental learning technique for identification of different trajectory patterns is presented which takes advantage of recent developments of Bayesian topic moulding using Dirichlet process mixture model. In addition, methods for Bayesian sequential analysis of trajectories for online classification and abnormality detection will be presented. In the past, a Bayesian method for supervised learning and classification of behaviour using trajectory analysis has been proposed. The method is based on the division of the environment in zones and learning trajectories as transitions between these zones. Despite reasonable performance, this technique is not able to sequentially assess the trajectory while the object is in one zone. To overcome this limitation, a novel technique can be developed that can sequentially improve the belief about the true trajectory class as new measurement is received from sensors (e.g. video camera). This is done using a dynamic Bayesian network model and a particle filter based algorithm for multilevel Bayesian processing. In the last part of the lecture, described techniques will be applied to real world data acquired from surveillance cameras acquiring continuous images from a road intersection. Using this dataset, the performance of the algorithm will be evaluated and compared with the ground truth and other methods in different tasks such as incremental clustering, online classification and abnormality detection. Within the last fifteen years, 'dumb' cameras have evolved into embedded smart cameras, combining a processing unit, image sensor, and communication interface on a single platform. These processing capabilities, even though limited, allow the smart cameras to pre-process video data on-site and transmit only aggregated information, or a complete analysis of a scene, instead of plain images. Connecting single smart cameras in visual sensor networks allows us to perform various tasks in a distributed fashion. The overall task is usually defined by an operator and all entities of the network are working towards accomplishing this task. Nevertheless, the having all components perform the exact same task may not be beneficial for the entire network. Defining the individual task for each component of the network may not be feasible without having explicit knowledge of the environment and the observed scenario. This requires the network and its individual components to organize themselves in order to achieve their common goal faster and/or with a better performance. This talk will introduce a real-world problem from the visual sensor networks domain, namely distributed tracking. Different challenges as well as possible approaches for cameras to accomplish their task will be discussed. A self-organizing approach in order to track object in a distributed fashion within a network of visual sensor nodes will be presented. The talk will be concluded by outlining open challenges to be addressed in future work as well as the possibilities of future visual sensor. Human movement analysis is a field of wide interest since it enables the assessment of a large diversity of variables depending on the field of study. For example, in dependency care it can provide information about patients' quality of life or the evolution of a disease involving motor impairment. Within sports field, human movement analysis can report information about a player performance or avoid injuries. Human movement can be accurately evaluated through Inertial Measurement Units (IMU), which are wearable and comfortable devices with long battery life. The IMU's movement signals might be, on the one hand, stored in a digital support, in which an analysis is performed a posteriori. On the other hand, the signal analysis might take place in the same IMU at the same time as the signal acquisition through online classifiers. Several devices form part of an IMU: microcontrollers, communication and storing modules, power management systems and inertial sensors, which are the most important compounds of an IMU. In this talk, different possibilities are discussed and compared, the main goal is to give a general idea of possibilities of an IMU applied to research. For decades the prevalent paradigm regarding engineering is that it should make life more efficient, its design to be easy to grasp and that it enables users to get tasks done as quickly and with as little extraneous cognitive load as possible. However, this paradigm neglects affective, attitudinal and motivational responses in the user, and efficiency could in some cases lead to less effectiveness. Games are often inefficient, obtuse and nearly always frivolous, but people bond strongly with franchises and expend great cognitive effort to overcome their challenges. This presentation will reflect on research and concepts pertaining to the magic circle to try to give an explanation for this. IS-ICE will take place at the Mile End campus of Queen Mary University of London, a mile to the East of the City of London on Mile End Road, and close to local transport links, major tourist attractions and 18 minutes by Underground to Central London. The main location of IS-ICE is room FB 1.15 in the Francis Bancroft building. Breakfast, lunch & dinner will be served at The Curve. 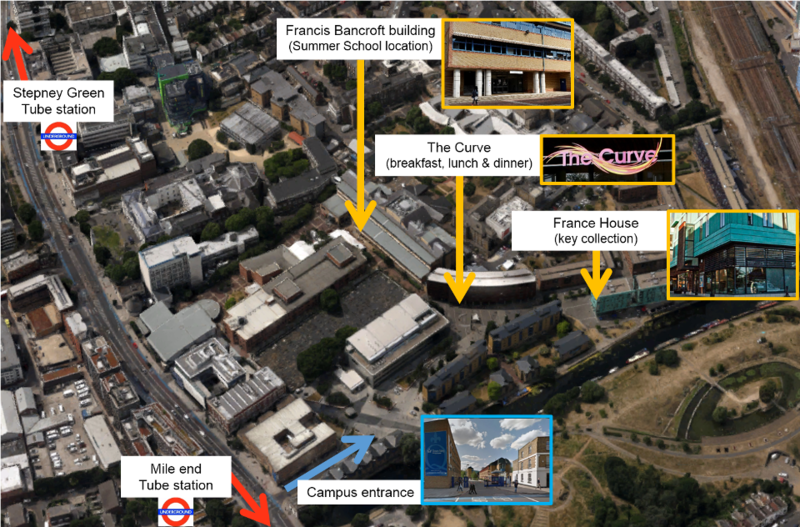 Key collection for the QMUL Campus accommodations is at the France house. Campus entrance: East Gate.